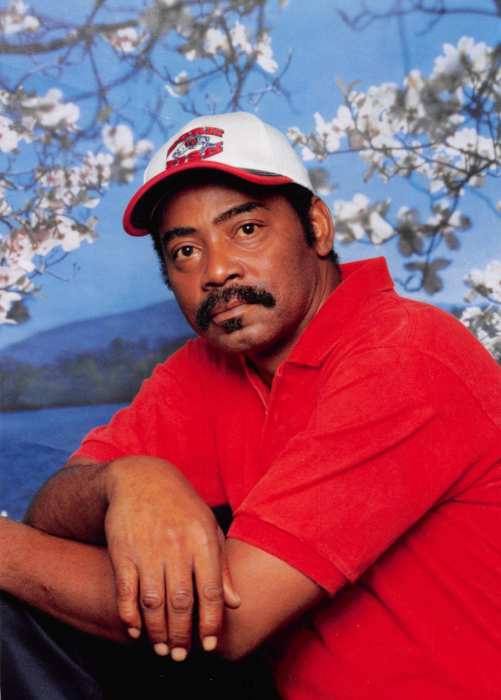 James McNair of Warrenton Georgia transitioned to be with the Lord on August 5, 2018 at Chaplinwood Health & Rehabilitation in Milledgeville Georgia. He was born August 10, 1957 to the late Lucille McNair Beasley and Leroy Kitchens. He was united in holy matrimony to Janet Fowler Harris. He attended Glascock County Public Schools. James accepted Christ at an early age at the Harts Grove Baptist Church and later joined Rogers Tabernacle Church. After moving to Warren County, he became a member of the Martin Tabernacle Free Church of God In Christ (currently The Believers Church of the Glory Ministries). He worked on various jobs, he worked at Badcock Distribution Center for over 18 years until his health failed. He enjoyed fishing and gardening, his motto in life was, “If I can help somebody as I pass along life’s way.” James leaves to cherish his memories his loving, caring and devoted wife Janet of Warrenton GA, two daughters Faith A’Leah McNair of Warrenton GA and Pamela (Ferris) Lovett of Atlanta GA. One son Jason Harris of Augusta GA; three grandchildren, Evan Isaiah Harris and Joshua Alexander Harris of Augusta GA; and Jacob Tyree Lovett of Atlanta GA. Three sisters, Eleanor Cleveland and Lisa Beasley of Thomson GA and Linda White of Dearing GA. Two brothers, Morris Beasley of Thomson GA and Willie Beasley of North Augusta SC. Four sisters-in-law, Charlene (Michael) Engram and Mary Fowler of Warrenton GA; Lizzie (Tony) Pounds of Evans GA and Gloria (Richard) Brogsdale of Hephzibah GA. Two brothers-in-law, James (Zenovia) Fowler of Conyers GA and Johnnie B. (Gracie) Fowler of Hephzibah GA, seven aunts, a host of nieces, nephews, relatives and friends. Memorial services will be held on Saturday, August 11, 2018 at 11:00 a.m. at the New Salem Baptist Church, 5059 Macon Highway, Warrenton, GA 30828. The repast will immediately follow . Beggs Funeral Home, 799 Cobbham Rd., Thomson, Georgia is honored to serve the McNair family.